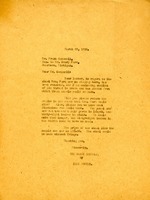 A letter thanking Mr. Ford for the buckwheat flour he'd sent. 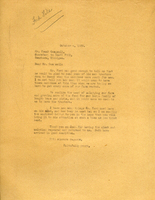 In this letter Martha Berry asks Henry Ford for his opinion about some land they want to buy for the Armuchee water project. 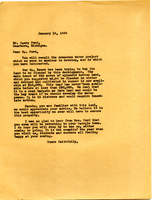 She says that the land has never been under $20,000 but is now available for $10,000. 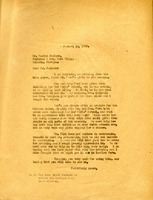 Harriet C. Moore sends a $50.00 donation to the Berry Schools and describes the differences between it and the school she currently works for. 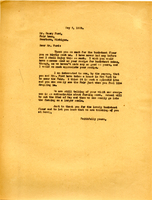 Mr. Meadows writes to Martha Berry in hopes that she can get him a meeting with Mr. Ford so that a school can be started in Eastern Tennessee. 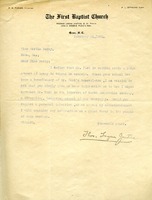 Dr Justice writes to Martha Berry asking for her help and advice in approaching Henry Ford for help at The North Greenville Academy. 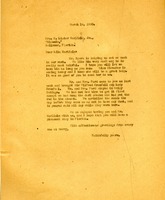 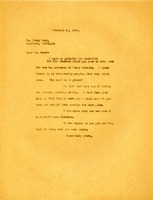 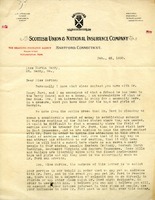 Letter to Henry Ford from Martha Berry thanking him for his donation.